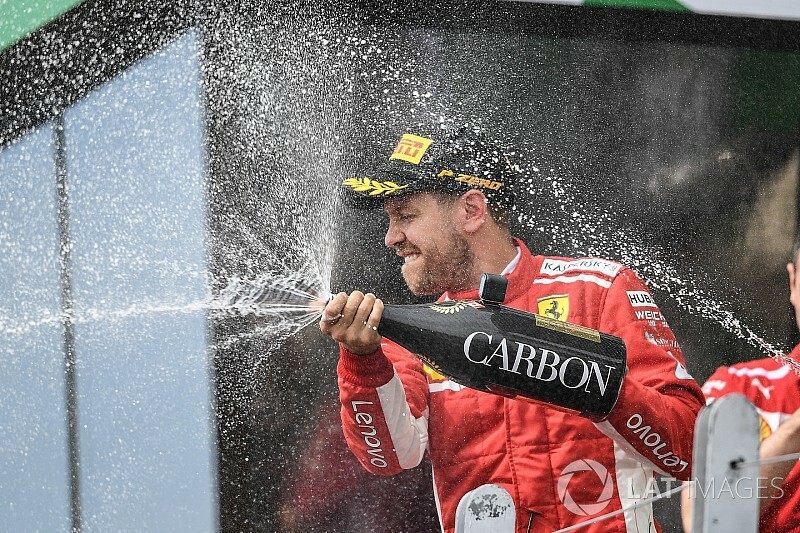 Sebastian Vettel grabbed the lead of the Formula 1 world championship with a dominant victory in a Canadian Grand Prix that ended in a bizarre chequered flag confusion. The most eventful part of Vettel's race after that came at the start of the final lap, when the chequered flag was shown more than one lap early. 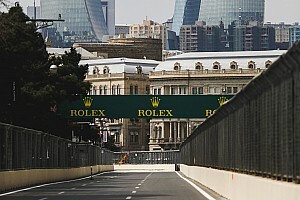 Bottas's main challenge from behind came at the start when a fast-starting Max Verstappen pulled alongside into Turn 1, but Bottas held onto the inside line for Turn 2 and forced the Red Bull driver to back out. After that moment, which Verstappen was praised for by his team as he avoided getting caught up in an incident, the Dutchman was never able to mount another attack. Bottas did have a minor scare with 15 laps to go, when he went wide at Turn 1 after lapping Carlos Sainz's Renault, and clipped the grass at Turn 2, briefly falling back behind the Renault. The second Red Bull of Daniel Ricciardo claimed fourth place, taking advantage of difficulties for Hamilton early in the race to jump the Mercedes during the pitstops. But he was forced into an early stop so Mercedes could attempt to rectify an engine problem, with the reigning world champion having reported "drop outs of power" early in the race. After falling behind Ricciardo during those stops, Hamilton was then vulnerable to Kimi Raikkonen's Ferrari also getting ahead of him when the Finn stopped much later in the race, but he hung on to fifth place as Raikkonen emerged from the pits just behind him at Turn 2. Despite having tyres that were 16 laps fresher than Hamilton's, Raikkonen couldn't mount a challenge, gradually falling back from the Mercedes. Mercedes offered Hamilton the option of turning down his engine in the closing laps, but he declined, pressuring Ricciardo and getting to within a second of the Red Bull. Hamilton got close at the hairpin with four laps to go, but was unable to attempt a pass down the following straight after having a big slide in the middle of the corner, and he then lost further time on the following lap stuck behind Sergey Sirotkin's Williams. 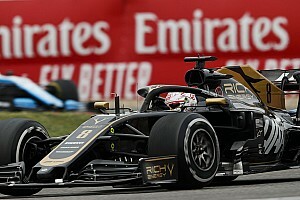 Behind the leading cars, Renault took a one-two finish in the 'Class B' race, with Nico Hulkenberg leading home Sainz to claim seventh and eighth for the team. 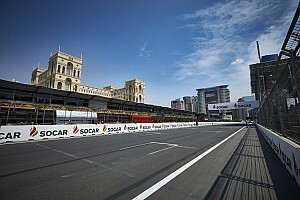 The final point went to Charles Leclerc, who inherited 10th when Fernando Alonso retired after reporting a loss of drive. The Sauber driver headed the Spaniard early in the race, but he lost out to the McLaren during the pitstops, only to reclaim the position when Alonso came into the pits again to retire. After being checked at the medical centre, Hartley was then sent to hospital for further checks.